School Reform and the Facts: Are They Kin? Headlines declaring that America’s public schools are failing and that their poor quality poses a national risk have become commonplace. Both political parties tell us that our public schools are in disastrous shape and need drastic change. Two presidents have made educational reform a major goal of their administrations and thrown the power of the federal government behind reforming the educational system. But evidence continues to mount that these efforts may be misguided and based on little or no objective data. This diagnosis drove the Bush administration’s development of “No Child Left Behind,” enacted in 2001, and led President Obama to put in place “Race to The Top” in 2009. Both embodied a narrow focus on improving educational outcomes with changes within the context of school districts and their schools. 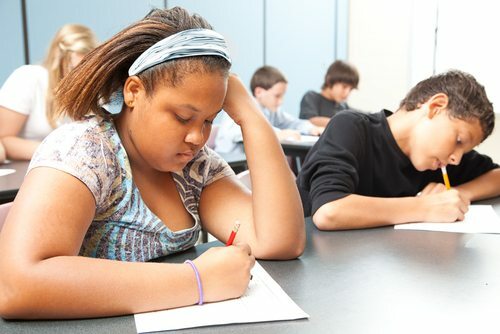 They have stimulated a proliferation of standardized testing, development of the Common Core Curriculum, replacing traditional public schools with publically- and privately-owned charter schools, weakening teachers unions, and removing “failing” teachers based on assessments of test-measured results. This has led to the belief that “the country needs to stop this downward spiral and build a better system from the ground up.” But recently released data from the National Center for Education Statistics indicates that public schools are doing quite well, even when compared internationally. NCES data also indicates that in school year 2011–12, 81 percent of high school students graduated on time with a regular diploma. Hardly the picture of failure that has motivated drastic efforts to build a new national educational system. A new study recently released by the Horace Mann League and the National Superintendents Round Table, “School Performance in Context: The Iceberg Effect (Indicators of School Inputs and Outputs in Nine Similar Nations),” strongly suggests that this narrow focus is misguided and limits the effectiveness the investments we are making toward educational improvement. “Many policymakers and business leaders fret that America has fallen behind Europe and China, but our research does not bear that out,” said James Harvey, executive director of the National Superintendents Roundtable. If we are to improve educational results, we will need a more complex understanding of the factors that affect the educational performance of our children. The HML/NSRT study suggests that we must pay attention to six discrete dimensions related to student performance (equity, social stress, support for families, and support for schools, student outcomes, and system outcomes). Interestingly, the national policy currently ignores this comprehensive view and focuses very narrowly only on what happens within the confines of the school day and school walls. Rather than finding American public education as failing, the HML/NSRT study points as our problems strongly resting in factors outside the schools themselves. The “study finds the U.S. has the most educated workforce, yet students confront shockingly high rates of poverty and violence. Research shows that those larger issues, outside the classroom, are serious threats to student learning,” noted HML Executive Director Jack McKay.